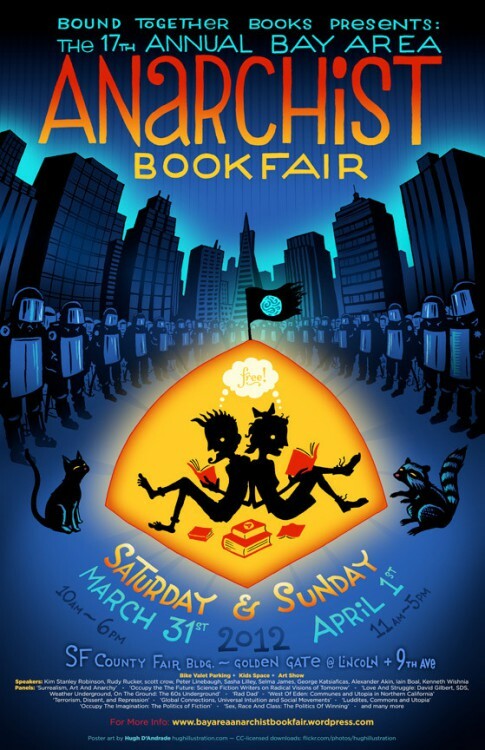 [Annual Bay Area anarchist bookfair, 14th] / Hugh D’Andrade. 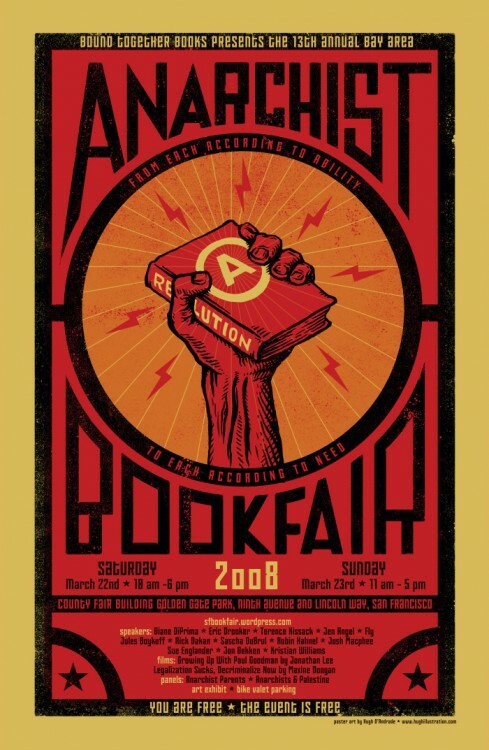 — San Francisco : Bay Area anarchist bookfair, 2009 . — 1 affiche (impr. photoméc. ), coul. (trois : rouge, noir, vert, papier blanc) ; x × y cm. 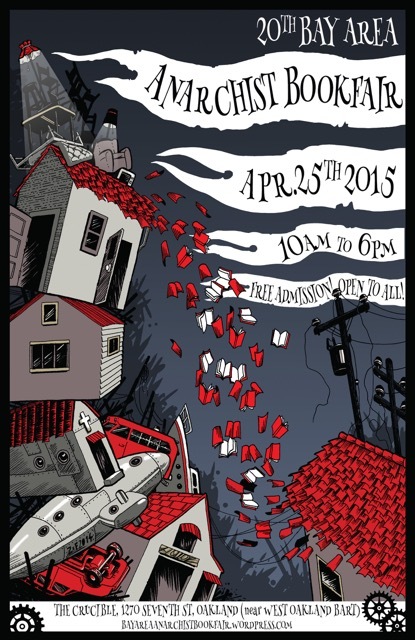 Poster art by Hugh D’Andrade ? 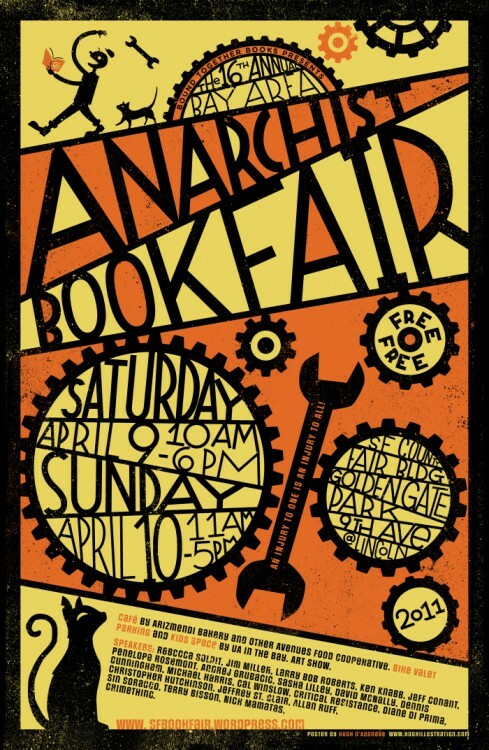 [Annual Bay Area anarchist bookfair, 15th] / Hugh D’Andrade. 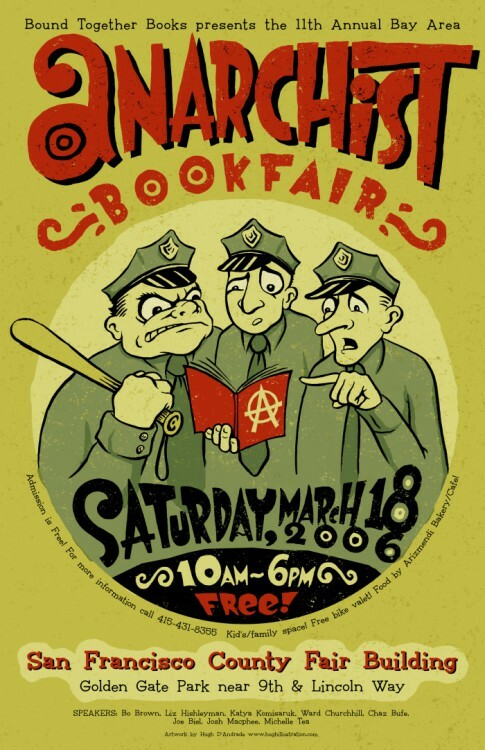 — San Francisco : Bay Area anarchist bookfair, 2010 . 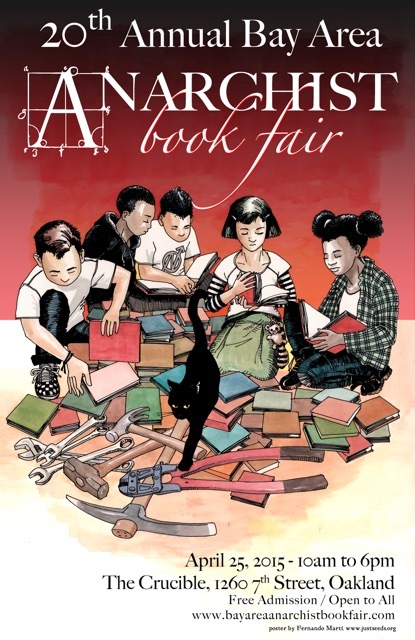 — 1 affiche (impr. photoméc. ), coul. (trois : rouge, noir, jaune, papier blanc) ; x × y cm. 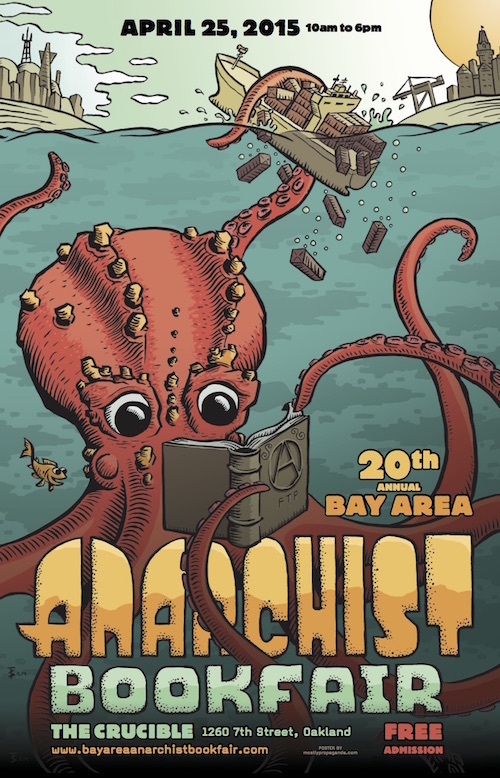 [Annual Bay Area anarchist bookfair, 18th] / Hugh D’Andrade. 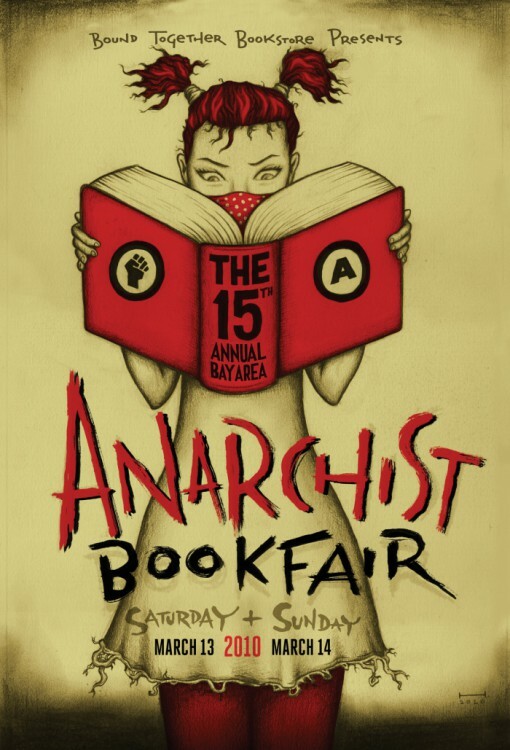 — San Francisco : Bay Area anarchist bookfair, 2013 . — 1 affiche (impr. photoméc. ), coul. (quatre ou plus : rouge, noir, vert, jaune) ; x × y cm. 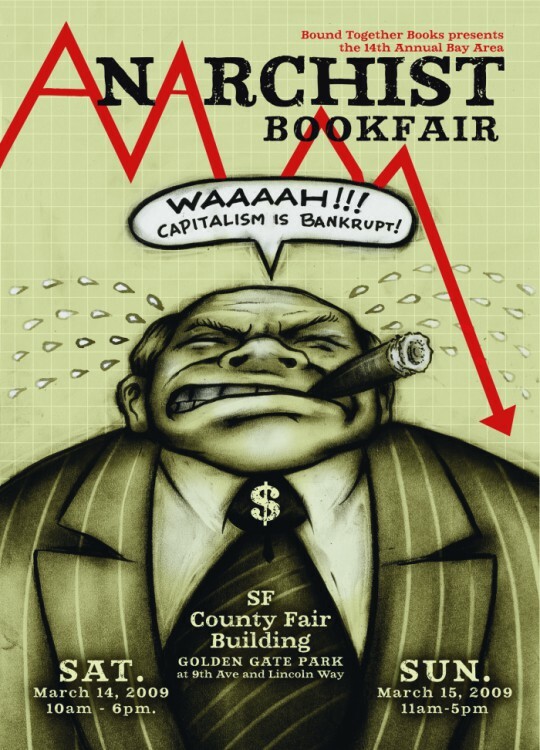 The World to the workers ! 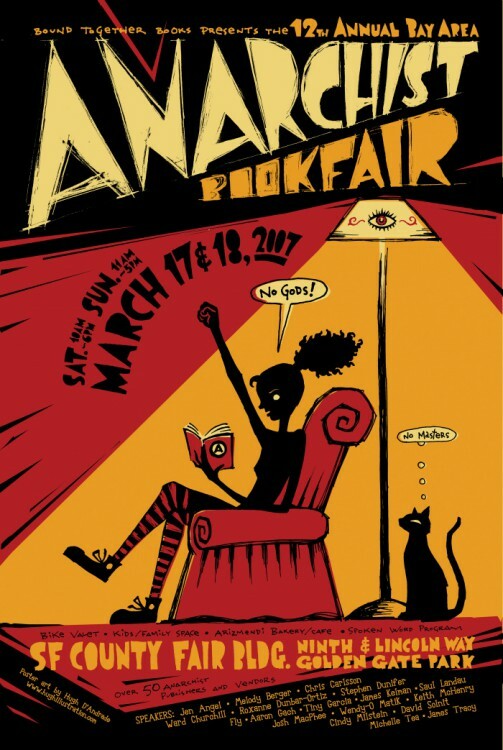 [Annual Bay Area anarchist bookfair, 20th] / Fernando Martí. 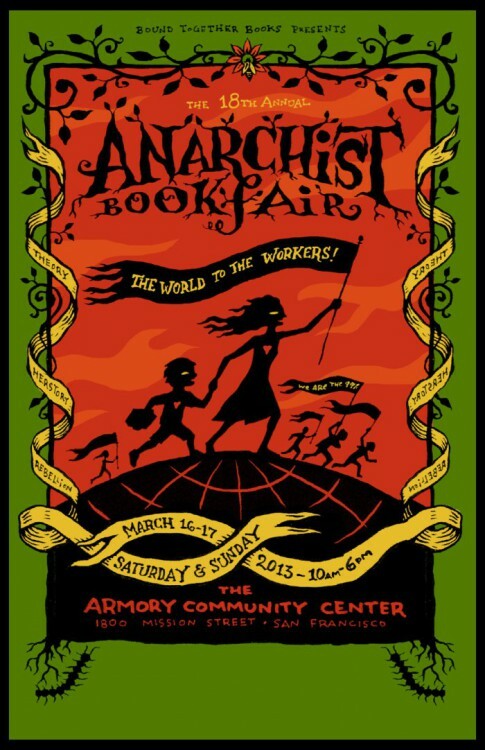 — Oakland : Bay Area anarchist bookfair, 2015 . 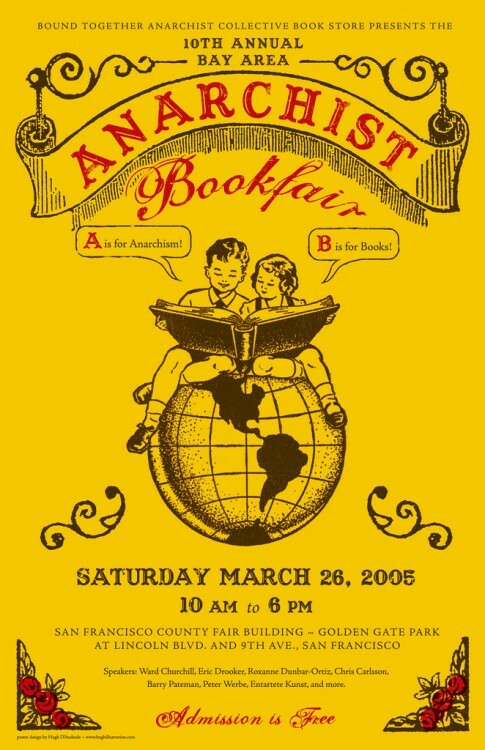 — 1 affiche (impr. photoméc. ), coul. (quadri) ; x × y cm. 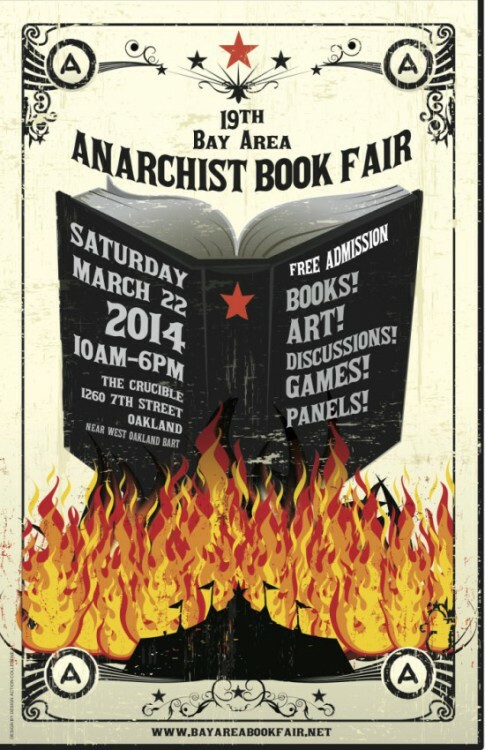 [Annual Bay Area anarchist bookfair, 20th] / Tim Simons. 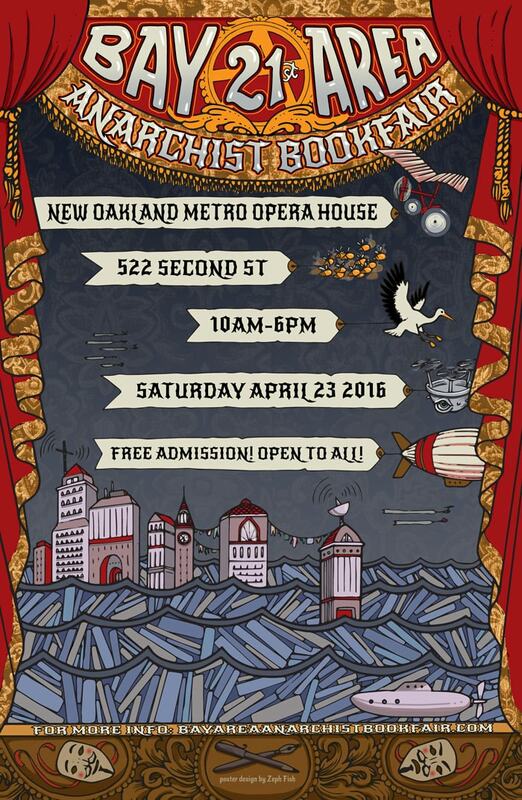 — Oakland : Bay Area anarchist bookfair, 2015 . — 1 affiche (impr. photoméc. ), coul. (quadri) ; x × y cm.